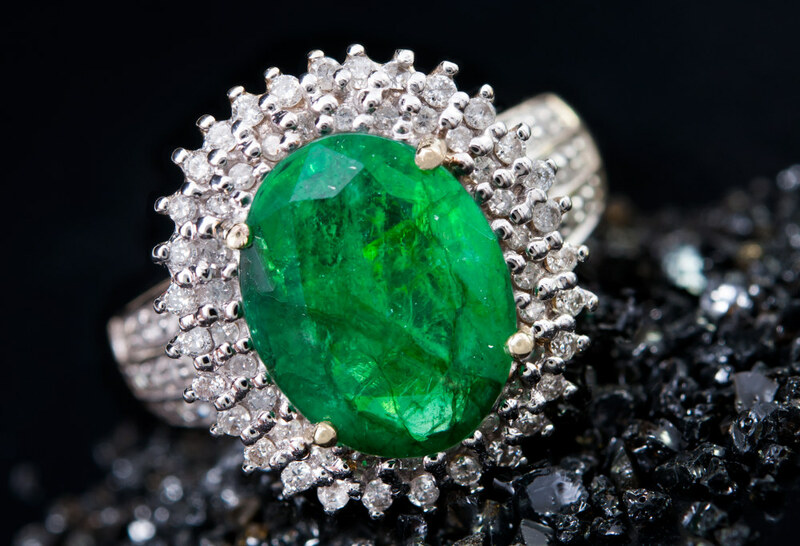 Emerald Jewellery has been a big player in the history of jewels dating back to the ancient Greeks and Egyptians. The stones were used as well, by lapidaries to relieve strained and overworked eyes, simply by gazing at the colour of the soothing gem! Cleopatra adored these gems and used them in many of her royal jewels and body accessories. Fashionistas and gem lovers today, covet both vintage and vintage styled Emerald jewellery, as well as the contemporary counterparts, as sold at Rocks & Co. online and the like. Everyone loves a sale! In addition to our regularly scheduled holiday sales, and sales 'just because', there is the popular referral program: in which you can Introduce a friend to Rocks & Co., & you will each receive 10% off* your next order! Simply tell your friend to call our Customer Service Team on 0800 931 3333, state your Customer ID Number & discount codes will be issued to you both. The Refer a friend offer is limitless so spread the word & enjoy! 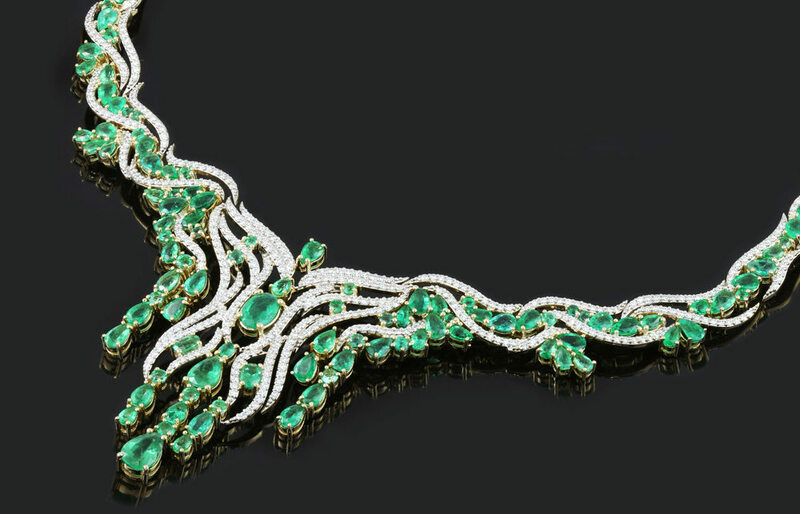 Emerald Jewellery online is an interesting affair, as with all items in the brave new world of e-shopping. The important thing for online shoppers is authenticity, quality and trust. We create our collections exclusively with genuine natural gemstones and back it up with certificates of authenticity. We offer an impressive selection of sublime jewellery set with genuine Emeralds. Take advantage of the best prices on our necklaces, rings, earrings or pendants thanks to a direct production of the jewellery. We do not use intermediaries for the realization and resale of our jewellery. Emerald is often cut in a rectangle or square, with a step cut, which is often referred to as the 'Emerald Cut' used on Diamonds and other gemstones. The elegant cut evokes a vintage art deco style and is eternally glamorous. Emerald jewellery features the classic Emerald cut, in addition to a variety of other cuts and shapes, depending on the stone. Almost all Emeralds have inclusions and fractures, they affect the cut. An inclusion fracture free emerald jewel is a pricey one indeed! Emerald cutting is an art in it of its self within the gem cutting art, with a focus on the best cut in order to feature the colour. For laymen and jewellery professionals alike, the most important feature of an Emerald Jewel is the colour! 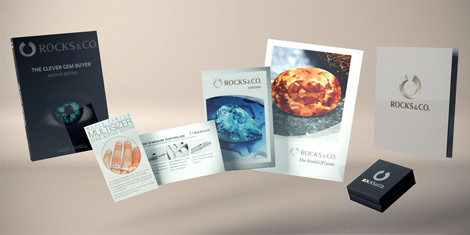 Rocks & Co., the brainchild of jewellery designer and female business leader Debbie Cavill, is the UK sister of the German-based Elumeo family. Pioneers in the TV shopping and online e-sales. With over 15 years of experience, we are proud to bring the benefits of this knowledge and carefully built industry relationships to you the customer! If you own a Smart Freeview TV & have it connected to the internet, you can now watch us on Freeview channel 271. For more information please call 0800 931 3333 We have combined with our European channels to bring you more content and more fabulous Jewels. Specials include Rocks & Co. live Auction and Gem Hunter Shows with exclusive jewellery from Kat Florence, AMAYANI, Lance Fischer and Ronnie Molloy. Rocks & Co., your online jewellery store, offers you a vast choice of jewellery with genuine Emerald. All our jewellery is delivered with great care and accompanied by a certificate of authenticity. On our simple and secure site, you will find the Emerald jewellery of your dreams. You can purchase pendants, necklaces, bracelets, brooches, rings or splendid earrings with emerald at incredibly affordable prices. Emeralds are very rare and special jewels, so the prices are not unrealistic, but it is possible to add to your collection with out breaking the bank. The cool thing about our online shop is the ability to search via colour, and stone type, in addition to the type of jewellery. So, for example, one can search for Bahia Emerald and then the subcategories and actually create an Emerald Jewellery set, easily! Emeralds are stunning set in necklaces and pendants. The colour whether a dark deep green like the Bahia or a lighter sparkly green such as our stunning Zambian and Sao Francisco gems are a beautiful match with yellow gold. Often accented with a clear (white) stone such as Diamond, Sapphire or Zircon. Some of the hottest jewellery designs right now featuring Emeralds are the coveted Engagement Ring, often featuring a combo of Emeralds with white stones like Diamonds or Sapphires, set in a vintage style setting of Sterling Silver or Gold. At Rocks & Co it is possible to find a beautifully designed ring that can in some cases be the perfect engagement ring.